I recently came across the blog entry below from back in 2008 when I had just started writing this thing. 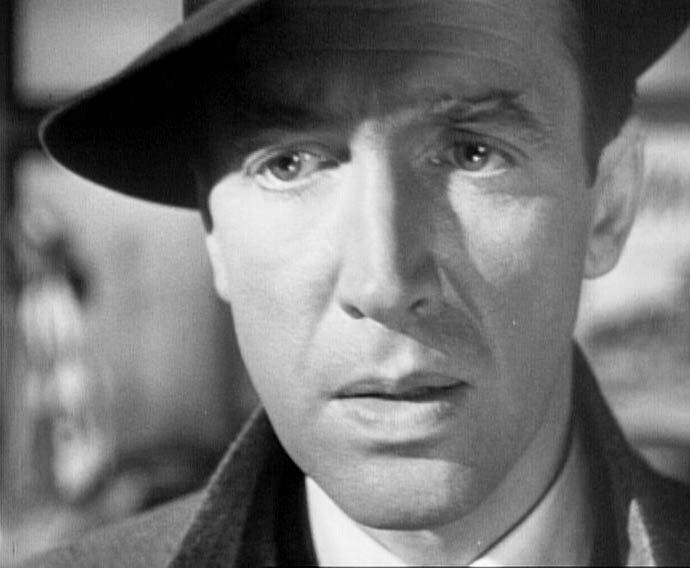 It’s about the movie, It’s a Wonderful Life, and how the darker elements in it– George’s angry frustration for example– could make it a much different film than the one we perceive it to be. I’ve watched this film umpteen times but it has been absent from my playlist for awhile now. Seeing this old entry, especially with the short video at the bottom, makes me want to watch it again soon. It’s that time of the year when you hunker down on a cold, snowy night and watch a holiday classic. One of the most beloved is It’s a Wonderful Life from director Frank Capra. It has long been one of my favorites and it would be easy to go on and on about its message and how the final scene with the redemption of George Bailey makes me tear up just thinking about it. 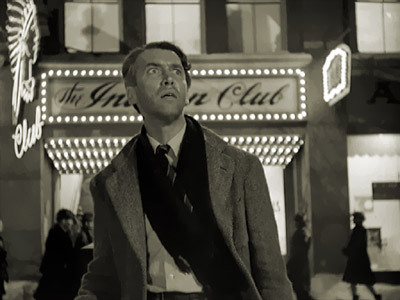 But yesterday a friend wrote in his great blog about how he secretly preferred Potterville, George Bailey’s bizarro world version of his hometown, to the original Bedford Falls. Potterville was a rockin’ town. Strip clubs. Hot music. Bedford Falls was, by contrast, a real snore. He cited an article by Wendell Jamieson in the NY Times that made his case for the same thought. Jamieson even goes so far as to state that George Bailey would be facing prison time for the loss of the 8000 dollars, regardless of restitution.